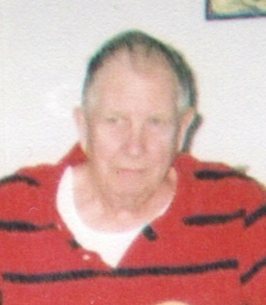 Elmer (Duke) E. Chenoweth, 90 years of Hillsboro, passed away on Friday October 26, 2018 at the Chillicothe VA Medical Center. He was born in Clarksville on April 20, 1928, the son of the late Eddie and Edna (Snyder) Chenoweth. He is also preceded in death by his wife Carolyn Barney Chenoweth, two brothers, Frank and Clyde Chenoweth, and one sister, Mary Howard. Elmer served in the United States Army during the Korean War. He was a former member of the local VFW, was a past member of Fraternal Order of Eagles in Hillsboro, and retired from Shepard Chemical Company. Elmer is survived by his nephew, Raymond Howard from Lewisburg, Ohio along with several other cousins, nephews and nieces. Funeral Services will be 12:00 PM Thursday November 1, 2018	at Thompson Funeral Home. Burial will follow at the Hillsboro Cemetery with Military Rites conducted by the Highland County Honor Guard. Friends may come to visit from 10:00 AM until time of services on Thursday at the Thompson Funeral Home. Any memorials in his name can be given to charity of choice. To send flowers to the family of Elmer E Chenoweth, please visit our Heartfelt Sympathies Store.